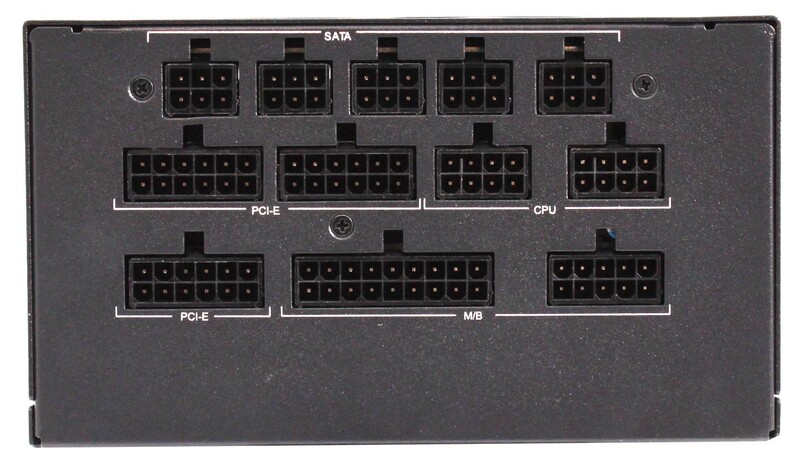 Dimensions 7.1 x 5.9 x 3.4 in. 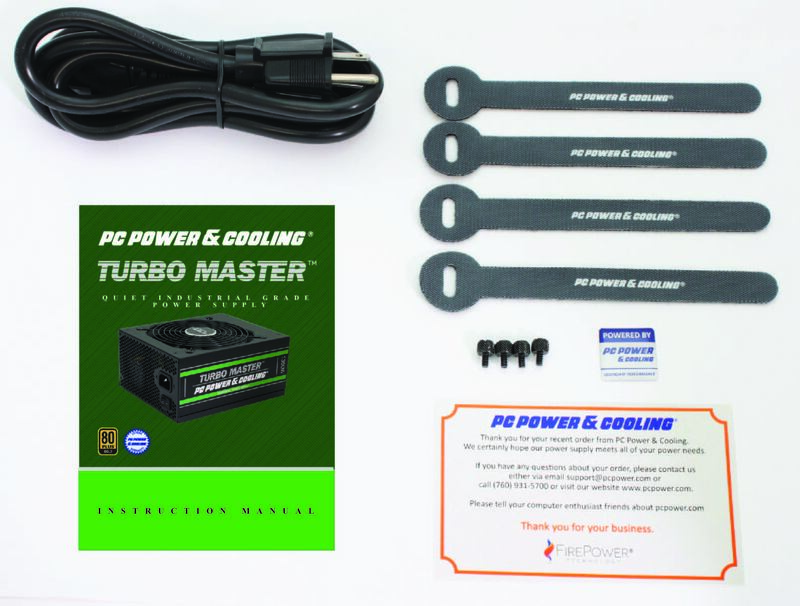 When you need more, demand the max out of your computer, gaming rig or mining system on the back of PC Power & Cooling’s Turbo Master 1350-watt Power Supply. 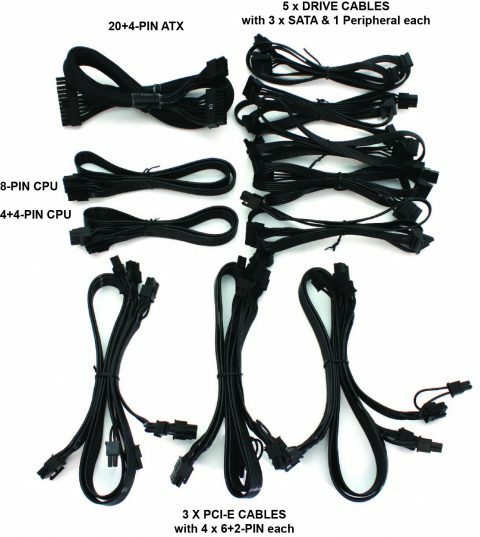 Our sleek design with fully modular cables gives you the ultimate performance from your computing command center. 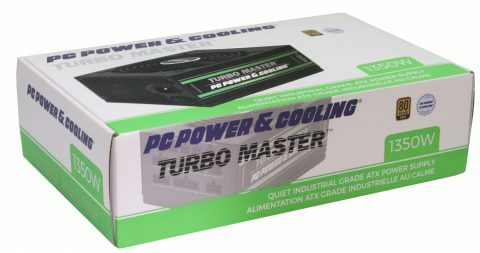 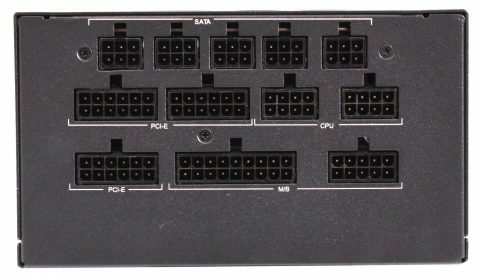 With over 3 decades as an industry leader in computer power supplies, PC Power & Cooling’s 7-year warranty supports this power plant which gives you excellent noise and ripple, tight voltage regulation, and superior components to ensure a smooth operation of your system for a long life. The fully modular Turbo Master series keeps your case running clean, quiet and clear of cable clutter. Under normal loads, no active cooling is required therefore the fan simply doesn’t spin. 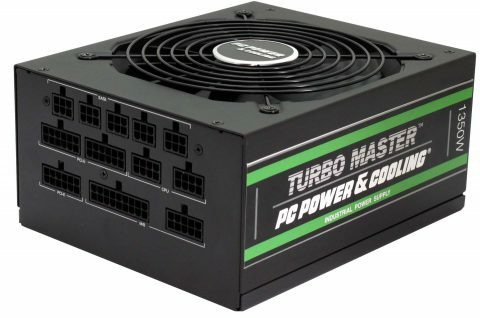 But, when you need all the power the Turbo Master can deliver, the thermally controlled fan adjusts its speed to match demand. 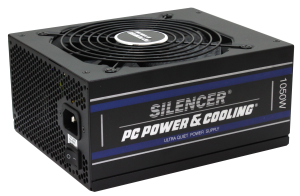 The dimple designed 135mm fan provides low noise even at full load. 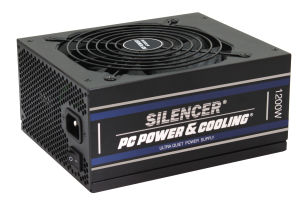 The powerful single +12V rail provides continuous power up to 50 degrees C, which is ideal for demanding multi-GPU environments. 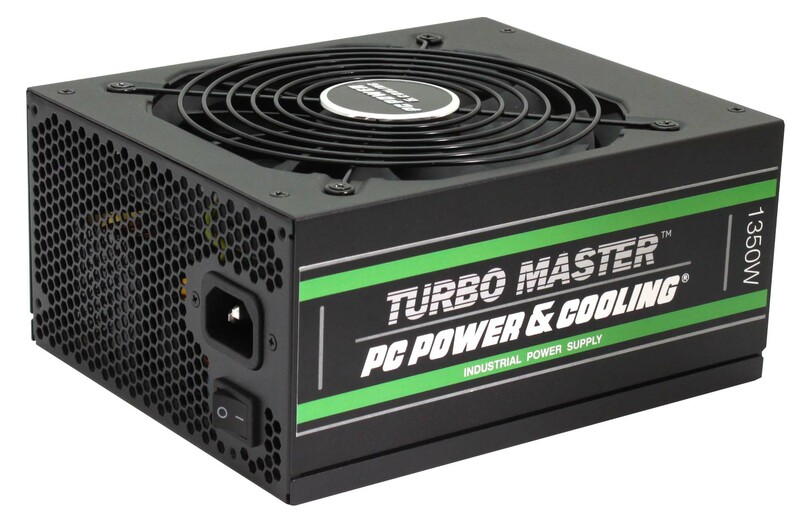 With an 80 plus gold rating, the Turbo Master operates at 90% efficiency, which will ease your cost of operation.